As any plumber will tell you, too many people have their water heater temperatures set too high. The prevailing logic seems to be that dishwashers need high temps to sanitize dishes, but that’s not how dishwashers—or dish soap—work. Your dish soap allows oil and water to mix, so abrasion can dislodge dirt and bacteria and float it away. I’ve seen water heater settings as high as 150 degrees F, which is dangerously hot. That’s hot enough to shorten the lives of dishwashers, water heaters and faucets. But more importantly, those high temperatures pose a scald hazard, especially to children and the elderly. According to the Consumer Products Safety Commission, 150-degree water needs only two seconds of exposure to cause third-degree burns. 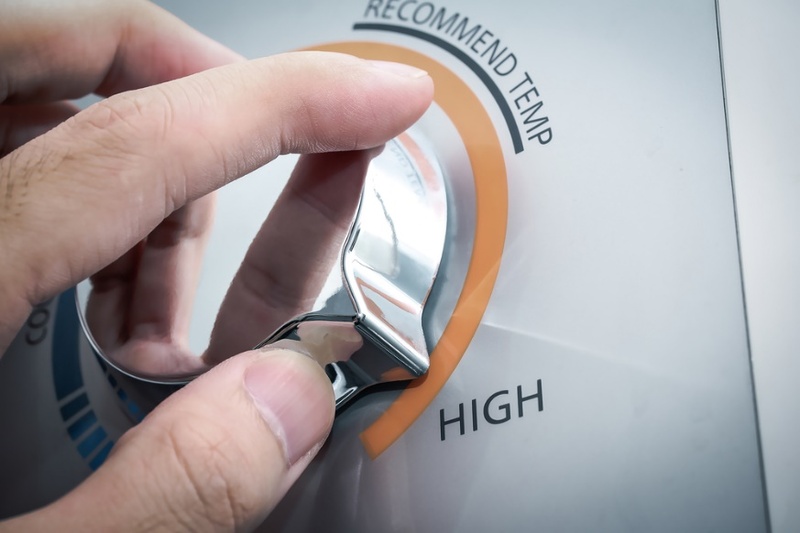 Water heater manufacturers preset their heaters to 120 degrees, but many homeowners seem to prefer something in the 125-degree range, which is still manageable. A typical shower temperature is 105 degrees, so 120 degrees should be able to handle all of your household hot water needs. It’s hot enough to clean, but not enough to hurt. 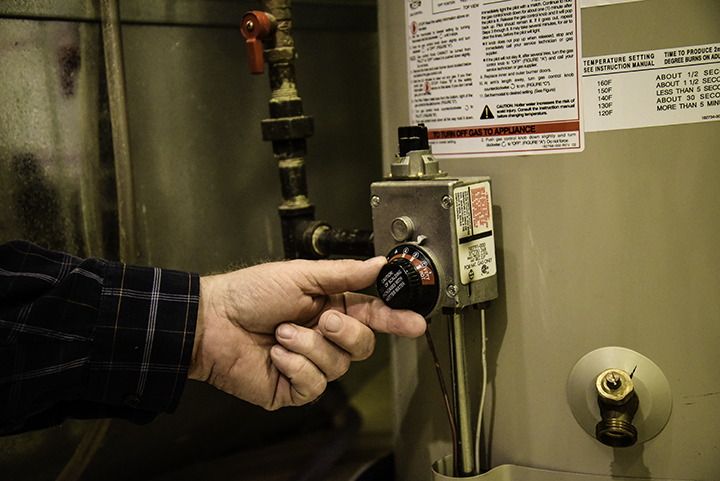 Adjusting a gas-fired water heater is easy because the adjustment dial is exposed. Ironically, this also means that the dial is easy to bump into, sometimes causing accidental resets. In any case, start by running two minutes of hot water through a sink and testing the heat with a candy thermometer placed in a cup. Shut the water off and turn the heater’s adjustment knob up or down a bit, then wait an hour and test again. Repeat as needed. 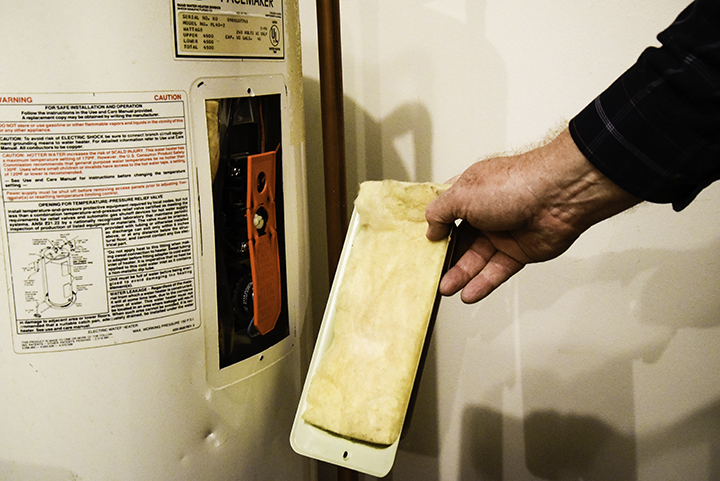 Electric water heaters have concealed thermostats, which can complicate things if you’re not familiar with them. However, they’re not hard to access. You’ll want to first shut off the electrical power, either at the disconnect box above the water heater, or lacking a disconnect box, at the main service panel. Any heater not visible from a home’s service panel is required by code to have a dedicated disconnect switch. In any case, look for two rectangular access panels on the front of the heater. Undo their fastening screws and lift away both panels. 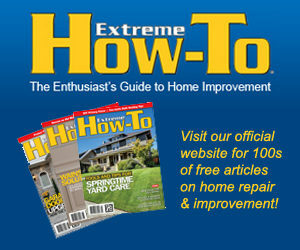 Carefully peel away any insulation covering the thermostats to reveal the adjustment screws. 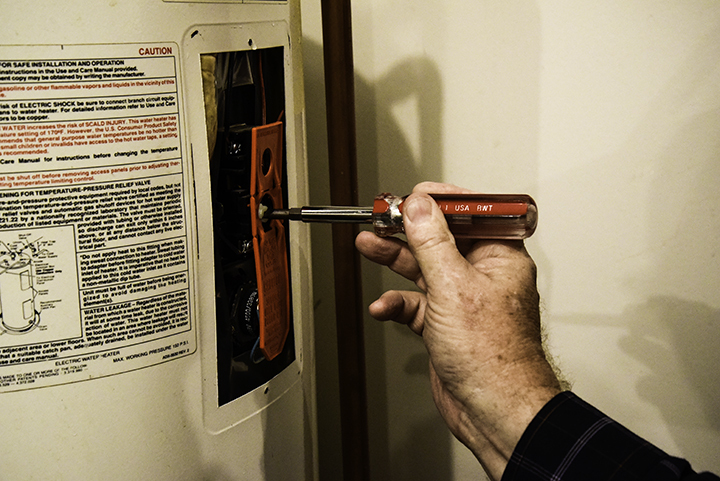 Using a slotted screwdriver, adjust both thermostats the same amount, then replace the insulation and the panels. 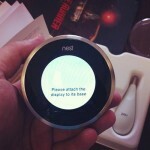 Don’t be tempted to skip this step before testing, since an uncovered thermostat will yield a false reading. Restore power and wait an hour before testing again at the sink. Repeat this process until you’ve reached your target temperature. 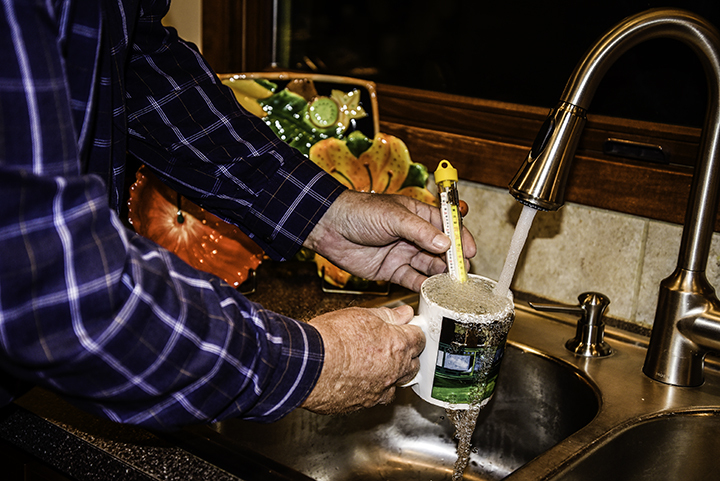 As water heaters age, temperatures tend to creep up a bit, so you may wish to recheck your settings annually. About the author: Merle Henkenius is a freelance writer and photographer who specializes in home improvement articles and books. He is a licensed master plumber, but has hands-on experience in nearly every phase of construction. He has contributed scores of articles and thousands of photos to national magazines. He also writes for The Home Depot, where you will find a large selection of water heaters like the one described.